Many expecting mothers assume lower back discomfort is part of the pregnancy experience, and do not realize how chiropractic care can benefit them during this time. Pregnancy is extremely hard on the lower back, as well as on the neck and shoulders. Examine the spine of an expectant mother from the side and it’s easy to understand why they have aches and pains! Due to the increased development of the breast tissue, the shoulders are rounded forward placing tremendous pressure on the neck and shoulders. Expansion of the rib cage causes discomfort between the shoulder blades and along the middle back. The weight of the growing child places the lower back in a strenuous position. 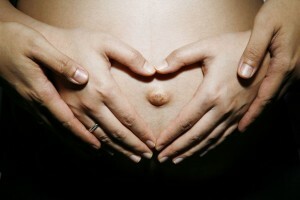 The nine months of pregnancy bring many hormonal changes that relax the ligaments stabilizing the lower back and pelvis. As the pelvis rotates down in the front, the muscles of the lower back become short and tight, causing an increase in pressure on the pain sensitive joints of the lower back, producing achy lower back pain. Sciatica is also common during this time, as the sciatic nerve is often compressed by bony misalignment or tight soft tissue. In addition to pain relief, regular adjustments allow for increased movement in the pelvis. Walking and performing regular activities are easier, and mom’s fitness levels are maintained. This may also benefit mom during labor and delivery, as movement of the spine and pelvis is vital. We have plenty of experience in pregnancy chiropractic treatments and will take excellent care of you during this special time. Questions about how to safely decrease pregnancy back pain?